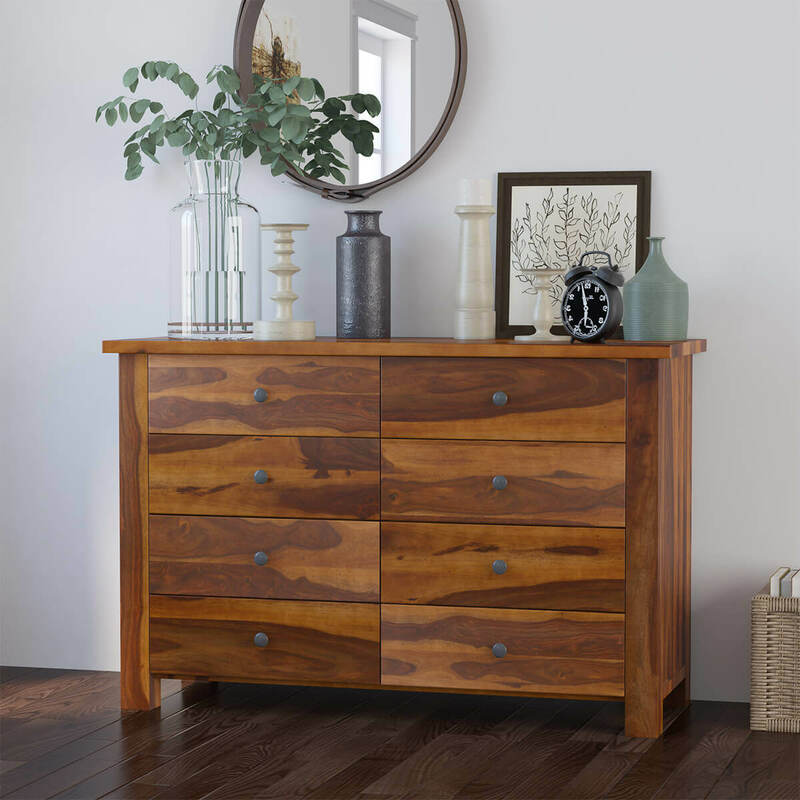 Good double dressers that can be easily paired up with a number of stunning mirror styles can be especially challenging to find, which is why you’ll definitely appreciate the simple beauty of our Osteen Contemporary Rustic Solid Wood 8 Drawer Double Dresser. 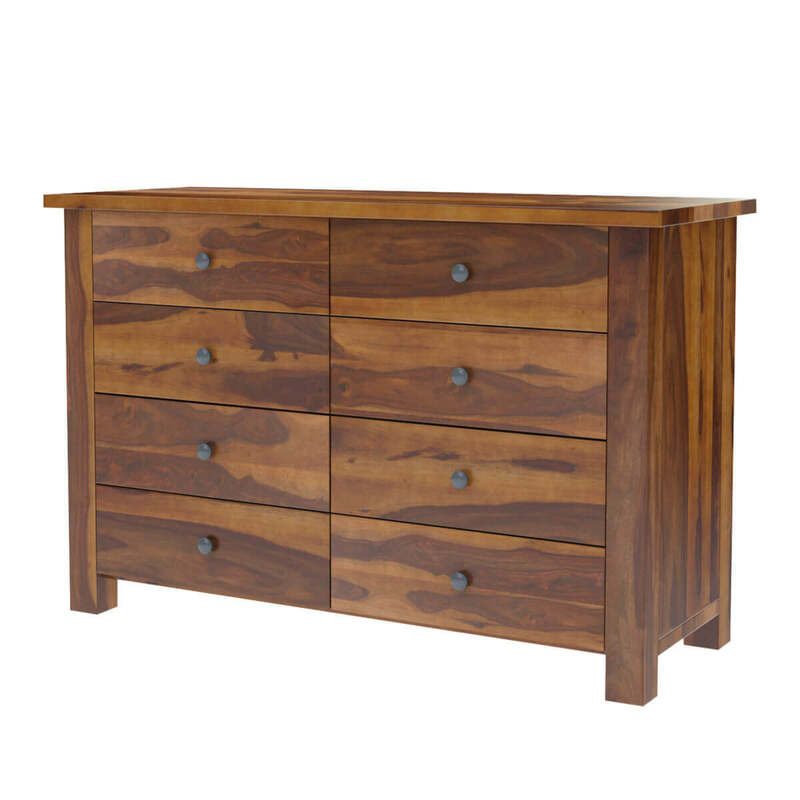 The most attractive quality of this rustic solid wood double dresser is its sleek simplicity and plain design. 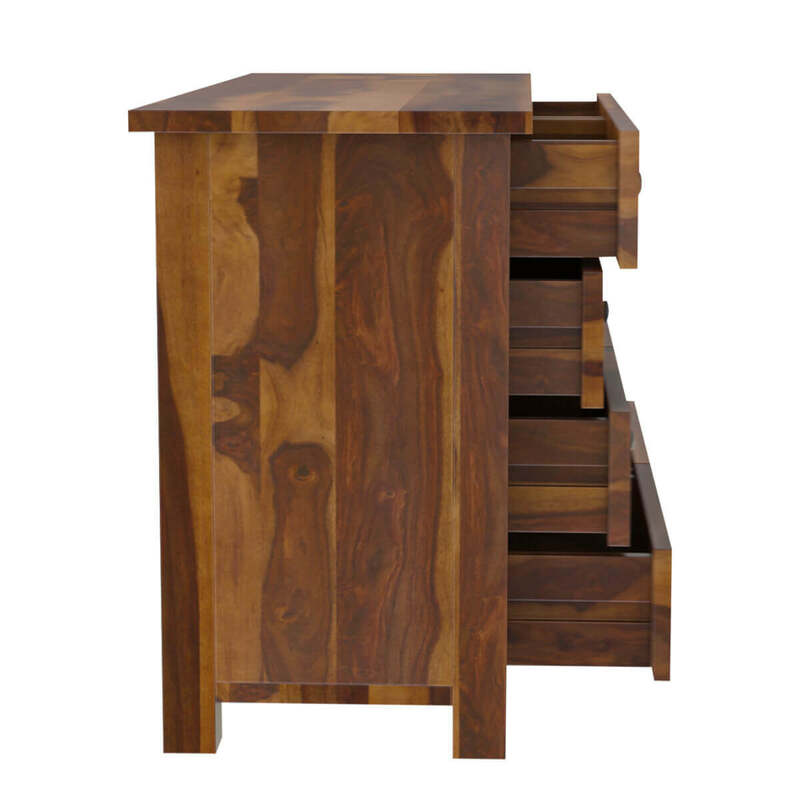 Featuring a whopping number of 8 drawers, you’ll find an ample amount of storage space to organize all your possessions in a systematic manner while keeping everything handy at the same time. 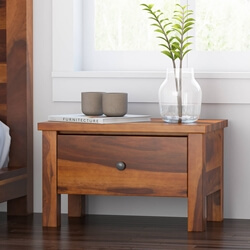 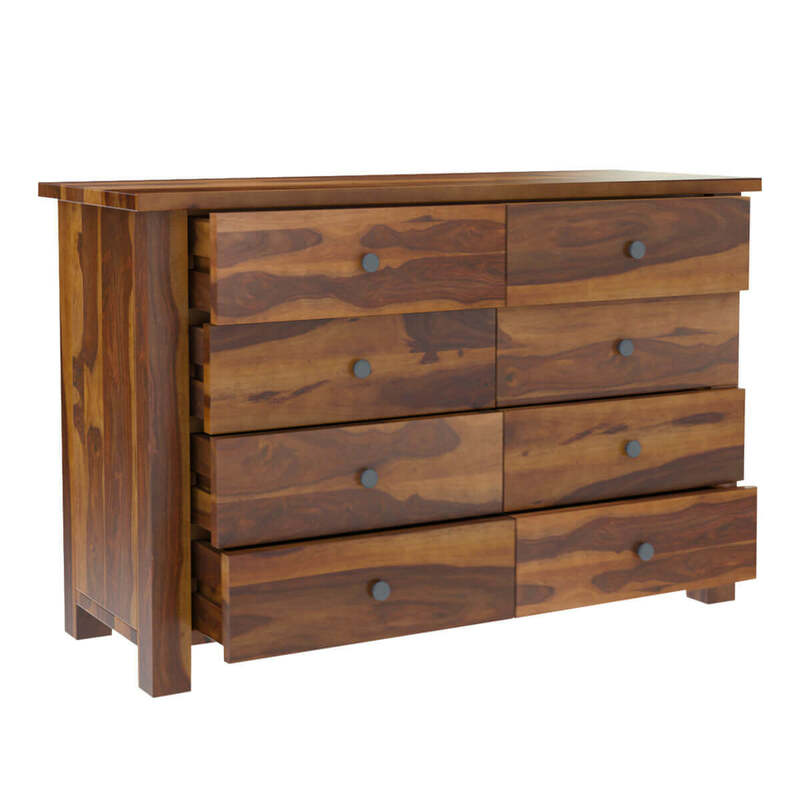 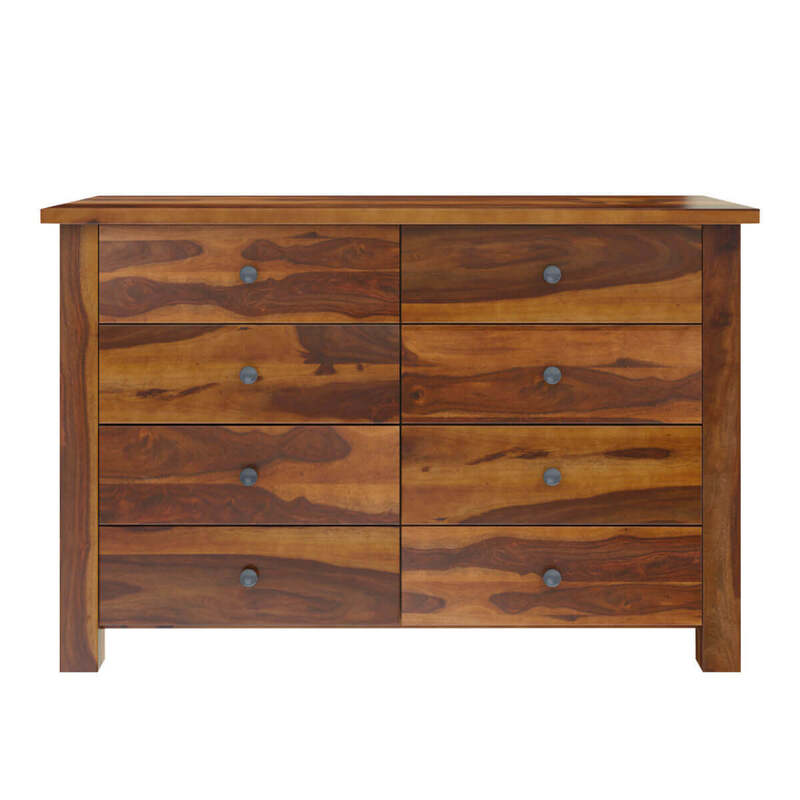 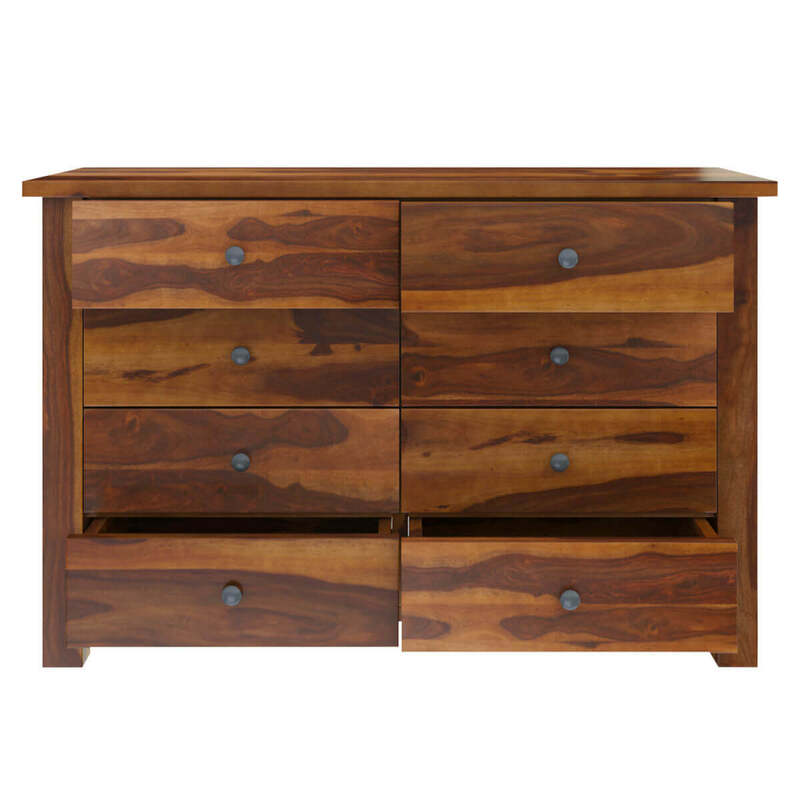 The beautiful wooden stain on each drawer is complemented by accentuating metal hardware in the form of drawer knobs. 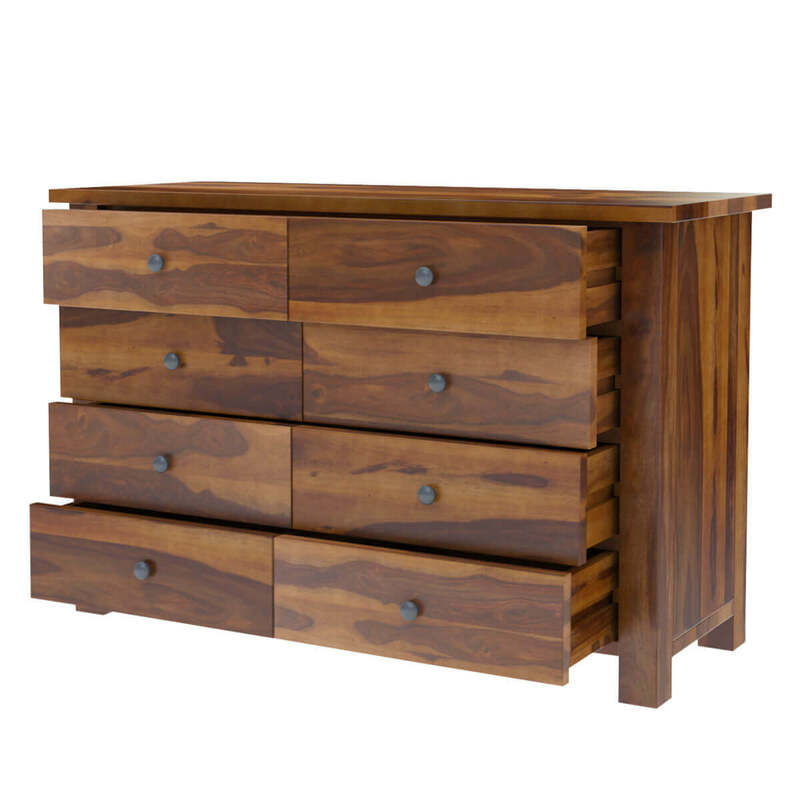 You’ll never find a piece as elegant as this one. 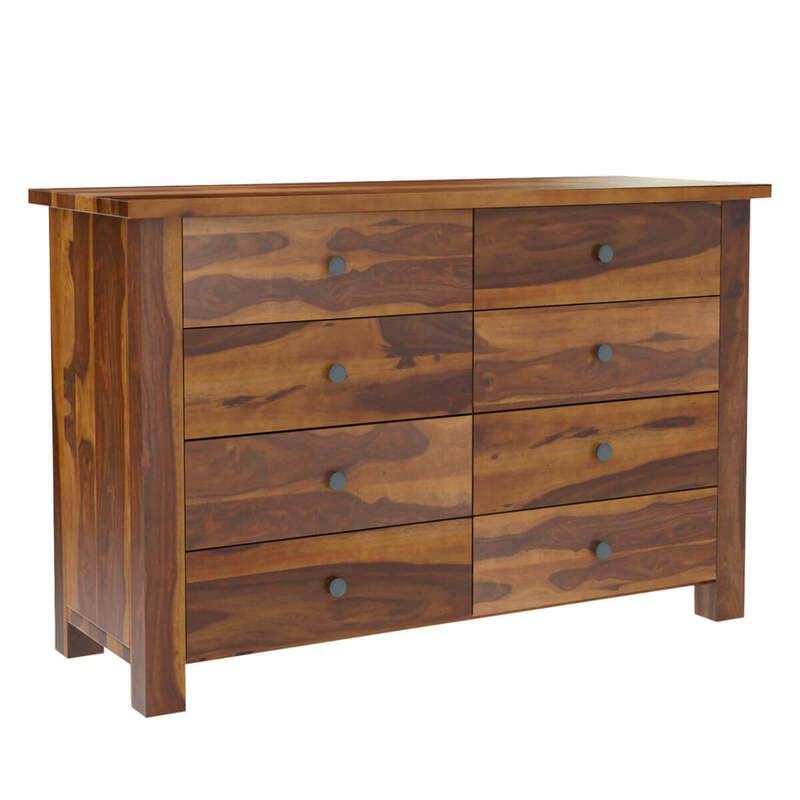 Handcrafted from solid Rosewood, this rustic solid hardwood double dresser definitely warrants an utmost heirloom quality coupled with amazing strength, durability, resilience, sturdiness, and longevity. 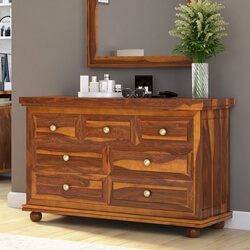 Its flexible aesthetic is also part of the reason why this dresser is so attractive. 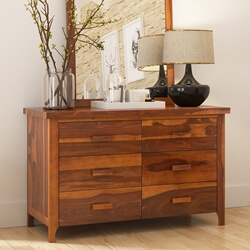 Its visual versatility can easily help it complement a number of interior design styles. 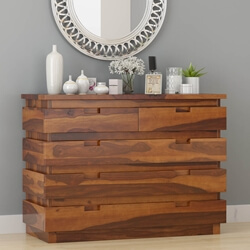 So whether you want something to harmonize with your rustic interiors or whether you’re looking for an accent piece for your contemporary bedroom, this double dresser is definitely it. 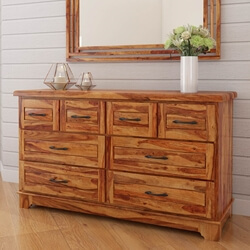 You can also top it off with a beautiful rococo style mirror for added decorative effect. 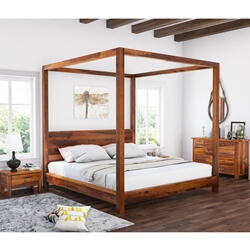 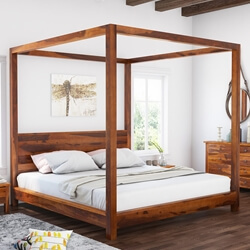 However, nothing can complement it better than the platform canopy bed and 2 low-height nightstands from our Osteen Contemporary Bedroom Collection.